San Diego took home some serious hardware at the California Association for Local Economic Development Awards of Excellence. The awards recognize outstanding contributions to the field of economic development throughout the mighty state of California. The City of San Marcos was also recognized with the Award of Excellence - Collaborations, for its California Competes Tax Credit Collaboration with EDC. And of course, EDC didn't leave empty-handed either, taking home the Award of Excellence - Promotions for San Diego: Life. Changing. Make sure to check out SDlifechanging.org, and give them a follow on social to learn more. Share your story using #SDlifechanging. We'll see you next year, CALED. Duane Roth was a beloved San Diego community leader and friend. He knew San Diego was destined to do incredible things and pushed us every day to fulfill our potential. To honor his legacy, we created the Duane Roth Renaissance Award in 2014 to honor an organization whose work is creating outstanding inventions, innovations or breakthroughs that have changed and improved the world around us - the same way Duane looked to improve San Diego. We are deeply honored to announce ResMed as the 2019 Honoree of the Duane Roth Renaissance Award, presented by Pradeep Khosla, Chancellor of UC San Diego. 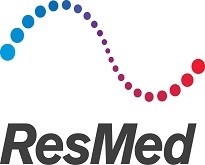 ResMed was founded in San Diego in 1989 and has become a world leader in cloud-connectable medical devices and software, transforming care for people with sleep apnea, COPD and other chronic diseases. Meanwhile, its comprehensive out-of-hospital software platforms support the professionals and caregivers who help people stay healthy in their home or care setting of their choice. ResMed has quickly become the gold standard in remote and self-monitoring software, with more than eight million patients worldwide remotely monitored by clinicians. Its monitoring tools are shown to increase patients’ therapy adherence rates and clinicians’ business efficiencies. Revenues for ResMed's first fiscal year in 1990 were less than $1 million, and there were only 9 employees. Today, ResMed is an S&P 500 company with a market cap exceeding $10 billion and yearly revenues above $2 billion. It employs more than 6,000 people globally and operates in more than 120 countries. Dedicating seven percent of annual revenue to research and development, ResMed is committed to advancing innovative technology in sleep and respiratory medicine, to commercializing innovative products that incorporate these technologies around the world, and exercising the highest standards of ethics and quality at all times. Please join us at SeaWorld on May 2 to celebrate ResMed and more. Get your tickets. Mayor Kevin L. Faulconer, Apple Vice President Kristina Raspe and regional leaders announced today that the technology company will increase its employment in San Diego by an additional 20 percent over previously announced numbers. Apple now plans to add 1,200 employees in San Diego within the next three years, with almost 200 of those employees in place by the end of the year. As part of a nationwide expansion, Apple announced in December that it would establish a new site and job opportunities in San Diego. Apple cited San Diego’s successful efforts to diversify its economy, incubate new industries, broaden its talent pool, build partnerships between academia and the business community, and maintain a superb quality of life as reasons for its expansion to America’s Finest City. Apple and Mayor Faulconer met over recent weeks to discuss the company’s growth plans. San Diego will become a principle engineering hub for Apple with new positions distributed across a number of specialty engineering fields, to include both hardware and software technologies. While Apple hasn’t yet settled on a location, plans are also underway to develop a campus that will feature hundreds of thousands of square feet of office, lab and research space. "Apple - with its vision, its brand and its products - could make a home anywhere across the globe,” said San Diego Regional Economic Development Corporation Chair Janice Brown. “By selecting San Diego, they are showing that they value a place that prioritizes a rich talent pool, inclusive economy, and commitment to changing the world for the better." In addition to its corporate and retail presence, Apple’s app ecosystem contributes to the San Diego economy. App developers who call San Diego home create products that reach customers around the world. Apple Fashion Valley, opened in 2001, was the company’s 21st store in the world. Apple currently employs 600 retail employees at its five stores in the region. The company’s local teams over the years have helped support a number of organizations in San Diego, including the Jacobs & Cushman San Diego Food Bank, Make-A-Wish San Diego, San Diego Humane Society, American Cancer Society, Zoological Society of San Diego, Cards for Kidz NFP, Braille Institute San Diego Center, and Challenged Athletes Foundation.